Quatro Slab — Decoy Type Co.
Quatro Slab seemlessy combines various methods of letterform construction into one design allowing it to evoke a variety of feelings. 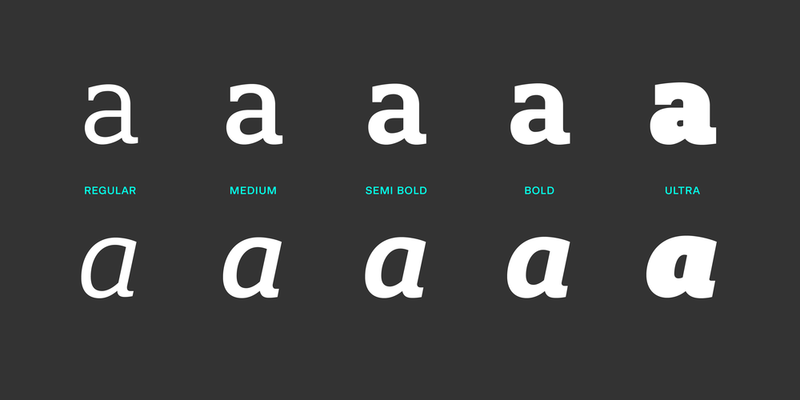 Available in 5 weights ranging from Regular to Ultra Black all with matching italics. Need an Individual Style? Buying Options Below.